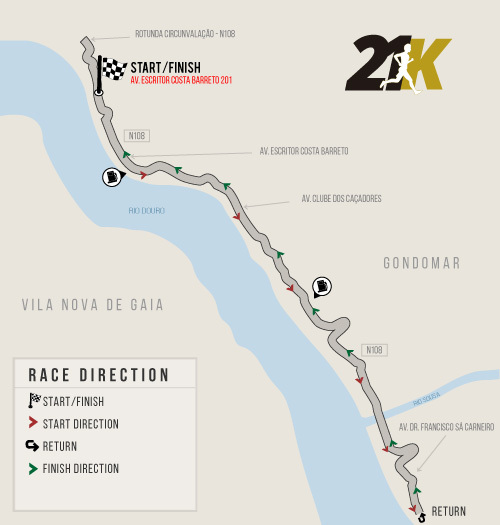 The Half Marathon 21km starts and ends on N108 - Avenida Escritor Costa Barreto 201 road, part towards Foz de Sousa,return at Av. Dr. Francisco Sá Carneiro and follow again on the N108 road to Avenida Escritor Costa Barreto 201 until the finish line. 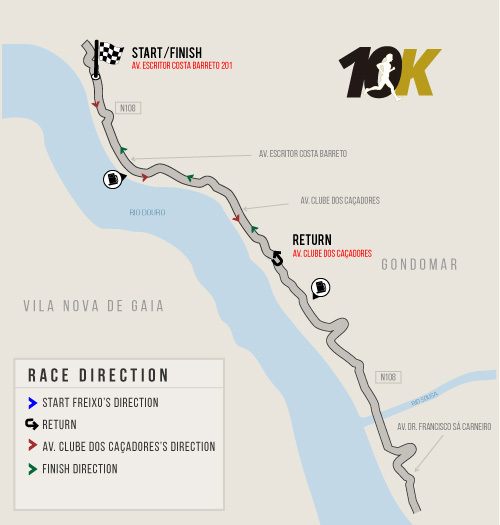 Mini Marathon 10 Km starts and ends on N108 - Avenida Escritor Costa Barreto 201 road, part towards Foz de Sousa, return at AV. Clube dos Caçadores before the bombs and returns by the same route until the finish line. 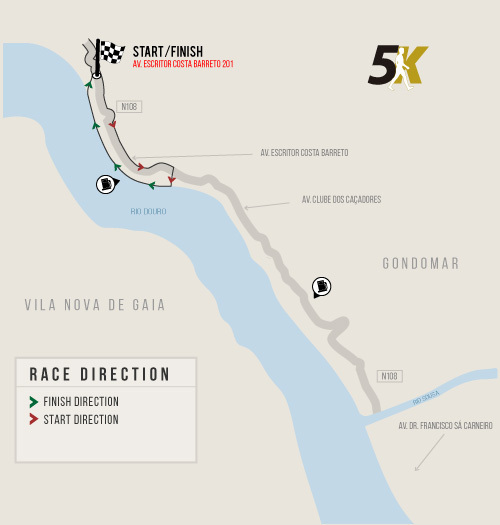 Walk 5 Km starts and ends on N108 - Avenida Escritor Costa Barreto 201 road , part towards Foz de Sousa,return at Av. José Domingues dos Santos and it follows the marginal one next to the douro to some extent making return by the national until the goal.